Our product usage tracking feature allows you to observe key actions that your clients do within your app. These events can be nearly anything, including: buttons clicked, pages viewed, time spent completing actions, projects completed, or dollars processed. The right metric is whatever best indicates that your user is engaged and getting value out of your app. The visibility of this data in ClientSuccess is a comparison view over pre-defined periods of time in the Usage App window on a client record as show below. You can also view a single, primary metric you have selected to best represent a customers health (configured in Global Settings>Usage as shown below) across your book of business in the Global Client Screen. 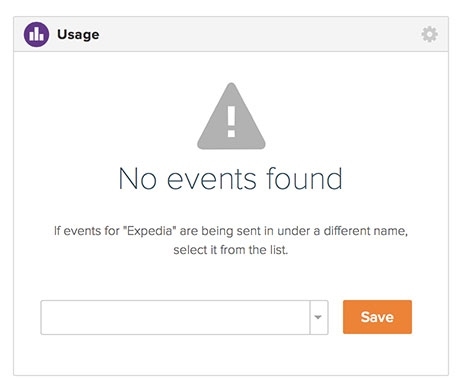 You can track up to 20 events that would include up to 1 million events a month. You can also include usage metrics as a part of your overall SuccessScore! Server: Submitting events to the ClientSuccess usage API. This is best for lower-level, complex events, calculated, or batched data. Segment.io: Sending usage data in via Segment integration. 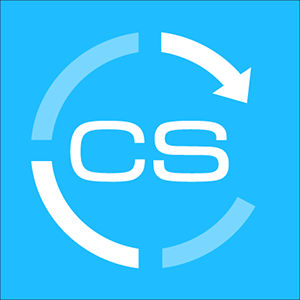 Flat file (*NEW*): Follow these instructions to submit a .csv file via email to support@clientsuccess.com, with aggregated usage data to be imported into ClientSuccess. 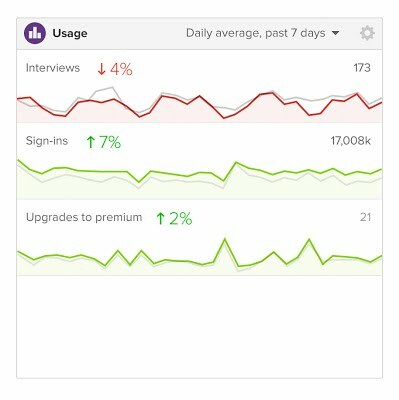 What information does ClientSuccess usage tracking provide? Be an Admin user with full access to ClientSuccess. Submit a request to our support team via the in-app chat messenger or support@clientsuccess.com with the message: "Please enable usage for our instance of ClientSuccess". This will generate your API Key and Project ID that you will use step #2. 2. Locate your Usage API Key and Project ID on the Usage Settings screen. 4. If the organization name passed in matches a Client name in ClientSuccess, then the ID will be associated with that client automatically when the first event is passed in. If the organization name doesn't match a Client name exactly, then you will need to perform a one-time, manual pairing after the first event is passed in as shown in the image below. You will need to click on the drop-down arrow and select the correct client that usage data should be paired with and hit "save". Once the organization ID is associated with a Client, all future events will be automatically associated with that Client by the organization ID. Note: Data must be actively sent into ClientSuccess before the Usage App window will show up in the interface.